Publish your quiz in a matter of minutes. Go ahead Try it now! Click 'View / Add Integration...' to integrate your quiz with online tools or email. Or select below from some of our most common integrations. Please Note: Free Quizzes are for testing and are limited to 25 responses. You can use the preview button in the top right to test your quiz without using up your 25 responses. Sign up for a free trial to receive more responses to your quiz. Start your no risk, 30 day free trial of Quiz Maker. Select a quiz type and add a title. Type your first question and add your answers. Hit 'Add Question' and repeat. Next you'll define how your results will work. Select correct answers or assign types if applicable. If you're creating a personality or trivia quiz select 'Results' add your types or assign correct answers. What Can I Make with Quiz Maker? 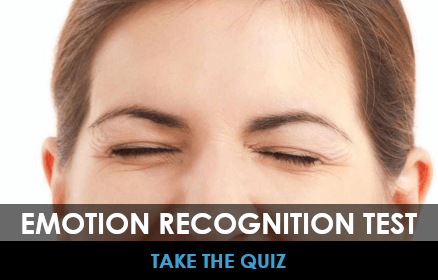 This trivia quiz assigns a score and a grade for identifying facial expressions. See step by step how to make this quiz. 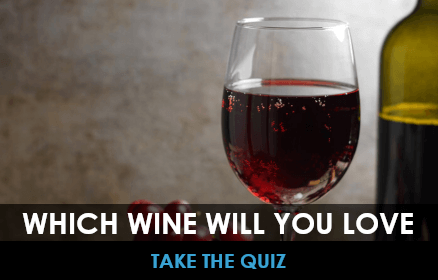 This quiz suggests a bottle of wine based upon your food preferences. Once you've created a quiz which engages your audience it becomes a very effective method of capturing leads for sales, newsletters or creating specials offers. Ensure your quiz provides adequate incentive and then require an email to view results. Simply hit the settings tab and then the 'Lead Capture' section to get started. Integrate with tools you already use for students, customers and prospects. Export newly captured leads strait into your sales pipeline and market to them directly with MailChip, SalesForce and over 2000 other packages. Embed your quiz directly on your website, Wordpress or create OG optimized facebook Quizzes. Adding logic and branching is fast and simple and allows you to keep your quizzes short, specific and targeted for quiz takers. Simply hit the logic tab after entering your question options to begin using the intuitive question logic editor. Easily tailor your quiz with your branding and color schemes whether it's taken directly on our site or seamlessly embedded into yours. Save custom themes for later use so new quizzes are quickly and consistently published. Show me how. You've no doubt seen a 'What Kind of Pop Icon' personality quiz go viral and been amazed at the shares and traffic they attract. You can easily build viral personality quizzes with our creator. You are limited only by the quality of your idea. Select the Quiz type at the top of the editor, add your questions and then hit 'Results' add your 'Outcomes' and assign your outcomes to your question answers. Click the 'Results tab' and begin grading your quiz. It's as easy as selecting the right answer for each of your questions. Image and media support, automatic social media integration and mobile optimized designed all result in buzz worthy audience engagement and viral quizzes. Spanning 19 countries with 100% uptime our network comfortably handle peaks in the millions of visitors per hour. But being fast is not enough your quiz should provide a great experience on everything from the smallest mobile screens to super wide desktop monitors. This is why everything you create automatically features a 'responsive design'. Stay on top of important opportunities with quiz response notifications. Each quiz response can be sent to a designated one or more email addresses for immediate action. On the settings tab, select Results and tick the 'Send response details' checkbox. Quiz your audience via smartphone and engage them with live results during your presentation or event. Prepare your quiz and then hit the Present button on the Share tab to get started. Integrate live audience results in your presentation. Works with trivia and simple feedback based quizzes. From simple excel/CSV exports to custom filters, uncovering actionable insights is simple. Filter by a particular question (satisified vs dissatisfied) or create custom filters (satisfied, female over 35) to dive deeper into your results. How did an online eyewear business use a quiz to generate over $1.1million in 6 months? They created a short 9 question quiz: "What glasses frame matches your personality". This simple personality style quiz assigns a style of eyewear based upon your answers. "What is your favourite decade?" "Pick a celebrity icon" The answers were presented as image options, more Buzzfeed than business. Quiz takers were given the option to signup for the Zenni newsletter as well as their eyewear style and a link to those styles on the Zenni website. Backed with savvy search marketing the quiz generated over $1.1 million dollars in revenue. Robert Bjork a research psychologist specializing in memory and recall illustrates the power of quizzing students in the following experiment. Two groups of students: Group A is given a lesson 4 times. Group B is given the lesson once and then quizzed 3 times. In a final exam Group B outperforms Group A by 50%. Known as the 'testing effect' or 'test enhanced learning', the process of retrieving memories leads to dramatic improvements in long term memory retention. Testing helps students identify gaps in knowledge which can be a target of future study. Common gaps across students help teachers optimize teaching material. 72% of students quizzed regularly reported that quizzing made them less nervous during final exams. The same paper showed that 92% of students believed regular quizzing helped them learn. Quizzes do not have to be high stakes or count towards final grades to be effective. You also won't have to mark them with our integrated auto scoring. Low response rates and subsequent data bias are the biggest issues facing online surveys. We've reviewed the research and lean on our 10 year+ experience to help you improve survey response rates. Meta analysis on the goldilocks zone for when to test shows too soon and the lesson is not fully processed by deep memory, too late and the material is forgotten. Test 1-6 days after your initial lesson. There is an ever increasing body of research showing just how powerful testing is on improving long term memory and learning. It is important for educators to let students know the reasons behind frequent testing are in order to assist deep learning and not simply an evaluative process. For this reason prominent 'testing effect' researchers Roediger and Karpicke recommend tests be low stakes for students. You have two options when designing your quiz, let the student know if they've answered correctly or incorrectly immediately or let them know when the test is completed. While there still needs to be more research it appears delaying feedback until after the test is completed works best. The theory is that delayed results cue the students memory again which improves subsequent retrieval. 77% of the most highly shared quizzes are personality quizzes. These are the 'What kind of 'x' are you?' quizzes and they work because they appeal to a sense to learn and share content about ourselves. B2C analysis of 100 quizzes that received 10,000 or more shares found virtually identical title structure 'Which' 'are' 'you'. Our own research has shown the social media share image attached to your quiz is hugely important in creating viral uptake. This is the preview image displayed when your quiz takers share your quiz. Countless times we've seen double digit increases in click through rate simply by changing the social media share image. Your quiz should use informal conversational style language. B2C analysis of the most shared quizzes found greater use of personal pronouns in the most viral quizzes. Questions like 'Which is your decade' with images of dress styles in various decades are visually engaging and easy to answer. We've found 6-10 questions total to be optimal.